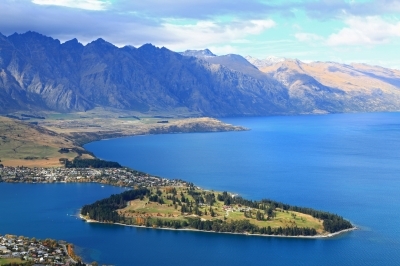 One of the best known countries for its level of tourism is New Zealand. This country belongs to Oceania and consists of two islands, where you can find natural wonders, combined with the friendliness of its people, it would convince anyone to stay and live there. It is precisely for this reason that New Zealand currently holds a highly multiracial and multicultural population which was attracted and captivated by the characteristics of this country, the majority of migrants there are from Asia, Latin America and neighboring islands. The New Zealand economy is one of the best positioned in the world. This economy is based primarily on three sectors: tourism, services and production for export. It is a competitive and exporting nation, whose government policies for innovation and creativity, allow them to develop within a wider range. The rapid development is due in part to the high quality of workers they have. In this sense, immigrants who want to apply for a job in New Zealand must be fluent in English, have professional or technical work capacity and experience that proves that is suitable for the type of job to which they are applying. The New Zealand economy is supported primarily by small businesses, so that there is increased demand for labor in this area. For getting a job in this country an immigrant must have a visa and work permit issued by the New Zealand government, without those documents, it will be virtually impossible to get employment opportunities. Also, to get a job is important that the candidate count on good health, at least he should not have a chronic disease. The sectors with higher labor demand are labor services, including the health, and tourism sector, comprised of hotels, restaurants and related companies. In agriculture labor demands increase, but it is normally temporary, due to harvest times. The New Zealand government has generated a list of professions and occupations helpful or more demanded in the labor market in this country. In fact, it would only be granted visas and work permits for immigrants who have the technical capacity or the areas listed. Because of this, the government’s most requested visa is the Skilled Migration Program. – Internal Medicine – Physician. – Great Locum Consultant position available. – Transformation Consultant / Programme Manager.